Friends of Kids with Cancer | Blues Raise $7,500 from Brett Hull Statue Raffle! 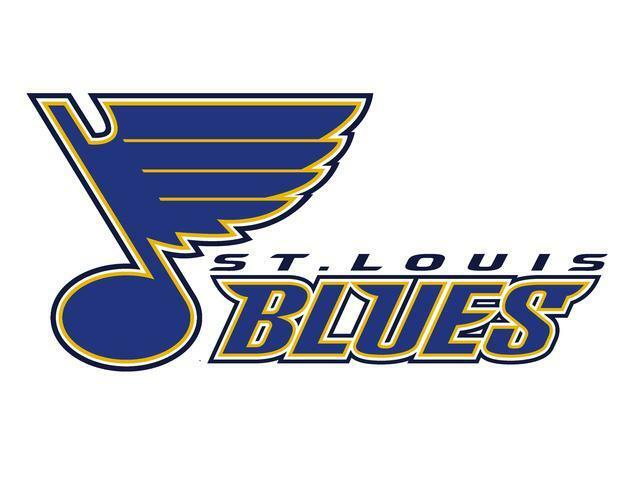 Blues Raise $7,500 from Brett Hull Statue Raffle! The St. Louis Blues and the 14 Fund sold raffle tickets during the first three homes games for a replica of the Brett Hull statue unveiled before the season opener, signed by the Hall of Famer. Friends had volunteers out at each game helping sell the tickets and raised $7,500! The winning ticket was pulled during the 3rd period of last Friday's win over the Blackhawks, and the lucky fan was Rick F. with ticket # 919. Rick and the Blues weren't the only winners that night, as Friends received a donation of $5,000 from the NHL as a part of the Hockey Fights Cancer™ promotion during the month of October. Judy Ciapciak, Executive Director, attended a check presentation led by Wendy Pleau, wife of former Blues GM Larry. Thank you to the Blues, Renah Jones and Randy Girsch of the Blues Community Relations Department, the NHL and all the fans who supported this great cause.